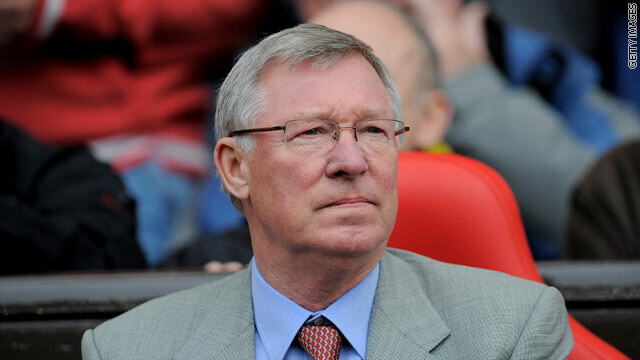 (CNN) -- Manchester United manager Alex Ferguson has said that he may not sign any more players before the start of next season. The 68-year-old has already added Fulham defender Chris Smalling and Mexican striker Javier Hernandez to his team, who finished just one point behind new champions Chelsea in the English Premier League. But, speaking at a press conference in New York to promote United's summer tour of North America, Ferguson suggested he would not be making any further additions to his squad this summer. "The structure of our squad is good in terms of ages, the balance, the numbers and there's a lot of good young players. "Sometimes you have to trust in all the development of the last few years and I'm going to stick with that, or most of it. "There may be one signing and maybe we'd like to get a good player to the club but we're still assessing whoever is available and the difficulties in terms of who you'd bring in." However, United will not be looking for a replacement for goalkeeper Ben Foster who signed a three-year contract with Premier League rivals Birmingham on Wednesday. England international Foster had slipped to third choice behind Dutchman Edwin van der Sar and Poland's Tomasz Kuszczak, only making nine starts in the Premier League last season. England national coach Fabio Capello also chose to leave Foster out of his squad for the World Cup finals in South Africa due to his lack of playing time, and Ferguson admitted he could not stand in the player's way of regular first team football. "I think he deserves the opportunity to do better for himself. That's the reason we accepted the offer. I feel, and I still am very strong about this, that he is the best English goalkeeper around."